When I recently read the word portmanteau, I mistakenly thought of a porte cochère. The latter term refers to a covered entrance large enough for vehicles to pass through, typically opening into a courtyard. The History Department is a bit of a portmanteau; it encompasses all of the library’s history materials, as well as the very popular Genealogy Department, and the library’s map collection, one of the five largest in the United States. But here’s the interesting point about the etymology of the word. 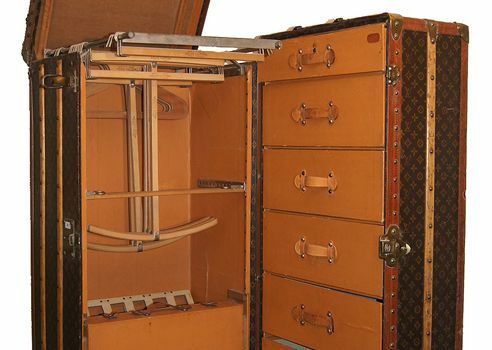 The original term dates back to the 1580s, and comes from the Middle French portemanteau meaning “traveling bag.” It comes from from porte, imperative of porter “to carry” and manteau, meaning “cloak”.